Our vertical integration allows us to better serve our customers the highest quality products. In a market saturated with poor quality imported CBD, we are here to bring hemp back to the states and deliver that legendary “Made in USA” quality. Badlands serves as the farm for the California hemp farming and hemp processing and extraction operation. Our hemp is grown on 300+ acres of incredible Imperial Valley land. Badlands was founded in 1972, but has over 75 years of farming under its belt. We are a fully integrated one-stop-shop from growing/harvest to processing/extraction. Because our farm and facility are down the street from each other, it is very fast to transport our hemp to get processed. El Don is a labor contracting company founded in 1962, and is license #0001 in California. It’s also a subsidiary of Badlands Provisions Co, and serves as the company’s field laborer. Over the last 57 years, we have built wonderful relationships with our field workers in the Imperial Valley. Quality is first in mind when it comes to the work stemming from our awesome El Don community. Founded in late 2018, APE Hemp was established to bring hemp back to the United States of America. We believe hemp is the future, and aim to be the biggest name in hemp processing and extraction. Currently, APE Hemp is leasing and setting up a temporary CBD processing and extraction facility that will be in use until the Westmorland project is finalized in 1 - 2 years. We’ve got our supplier and quotes ready. The Westmorland Project: APE is preparing to build a brand new, state of the art hemp CBD processing and extraction facility that will be completed in the next 1 - 2 years. The Westmorland property will be 3,000 acres, with the facility stretching across 10 acres. 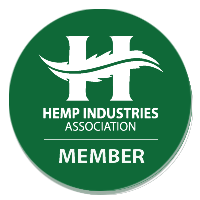 APE Hemp will implement Good Manufacturing Practices and FDA-level quality assurance protocols as well as third-party testing to assure its partners and consumers that we are bringing a consistently top-grade and trustworthy product to the marketplace. Click here to view all of the services we provide.